Weddings and Honeymoons in Santorini Greece, Cyclades: Life and love is uncertain. So why not tie the knot on the edge of a volcano? Thus goes a catchy phrase of a wedding planning company in Santorini. This is an example of how Santorini is promoted as one of the world's premier wedding and honeymoon destination. One must admit, the global wedding & honeymoon market is today a billion dollar market and the island of Santorini with its unparalleled natural beauty has been able to capture a lion's share of the market through some aggressive and smart marketing policies. Santorini is not only beautiful but is also irresistible and offers the kind of romantic setting which few places in the world can match. No wonder each year hundreds and thousands of lovelorn couples tie the knot and enjoy their wedding on Santorini or their honeymoon here on Santorini. Almost all leading hotels in Santorini offer exclusive wedding and honeymoon packages. No other place in the world offers the kind of romantic backdrop that Santorini offers. Santorini is just the perfect place for weddings. As far as the location is concerned, it is up to the couples to choose from a variety of wedding locations. It could be hotel terraces, churches on the edge of the caldera, roof tops, wineries or beaches. In general, there are three types of wedding ceremonies open to couples: Civil Weddings, Catholic Weddings and Greek Orthodox Weddings. 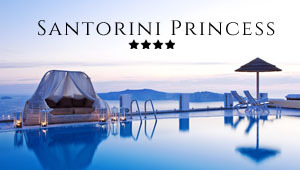 The hotels of Santorini offer tailor-made packages to suit every budget. From handcrafted embroidered works to the conventional decoration of the honeymoon suite, everything is taken care of by your wedding planner, who will also inform you on the necessary papers needed for a wedding abroad. These papers usually include: marriage application form, bride and groom's passport, birth certificates, certificate of non-impediment and divorce certificates (if applicable).